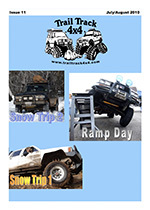 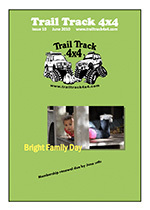 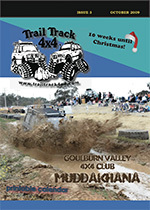 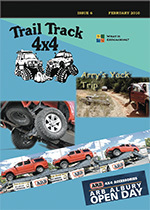 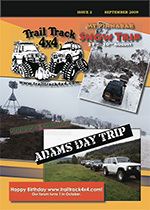 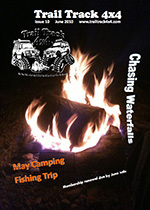 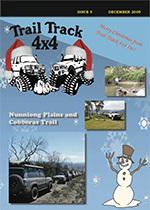 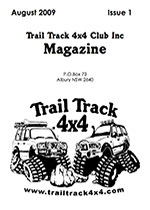 The Trail Track 4x4 Club's own member's magazine has been published since late 2009, showcasing club events, members' vehicles, equipment, modifications and adventures, and allowing club members to keep track of upcoming events and opportunities. 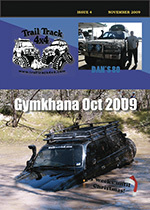 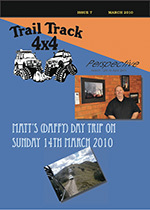 Below, you will find back issues of the Trail Track 4x4 Club Magazine, dating back to August 2009, that can be downloaded in PDF format. 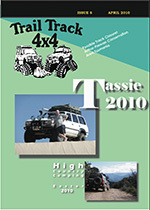 You'll need Adobe Acrobat Reader (or something similar) to view PDF files.